*Average Batting Score since 2013 is 158 Runs. 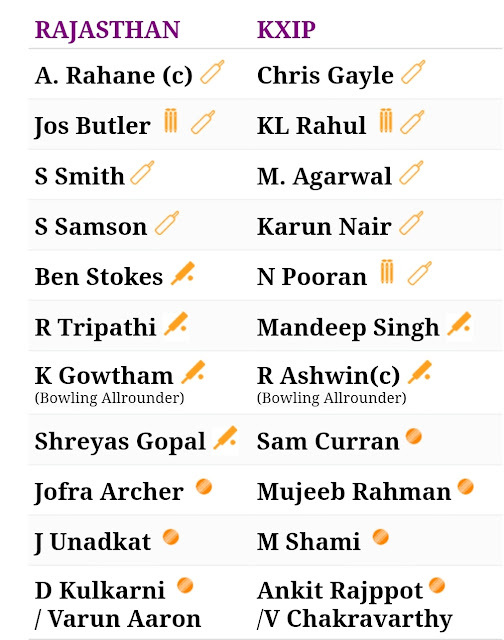 "Expected score around 170 for todays match"
from KXIP side Andrew Tye not joined the squad because he is not arrived in India yet. from Kings XI Punjab side David Miller is not available due he was playing T20I against Sri Lanka on Sunday. Stay tune more news will be add here. 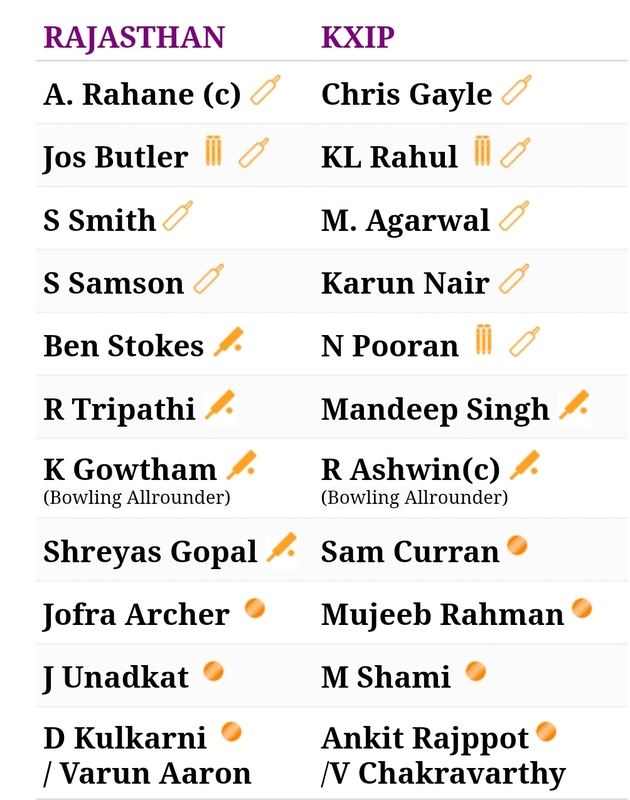 Jos Butler is a good player in power play with average of 92 Runs with Strike Rate approx 170.
from RCB side K Gowtham is a good option in last IPL he took 11 wickets. Sawai Mansingh Stadium is home ground of RR. 🏷️Watch Video Team for Details on each player, GL Guide, C & VC Options and more. Below Data will be add/update soon.